LITTLE ROCK, Ark. -- Arkansas highway officials shut down westbound lanes of a cross-country interstate for four hours so crews could pick up pizza. 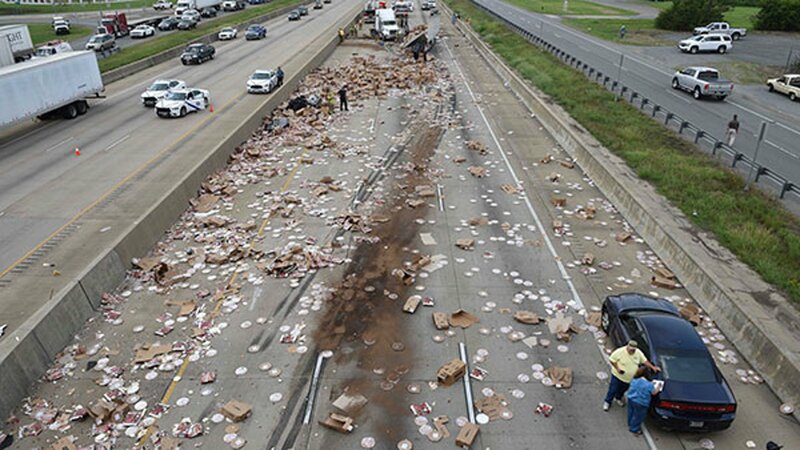 An 18-wheeler containing Di Giorno and Tombstone frozen pizzas scraped a bridge support and sliced open its trailer Wednesday, spilling them across Interstate 30 in front of the Arkansas Department of Transportation office. Agency spokesman Danny Straessle said the bridge had only cosmetic damage.